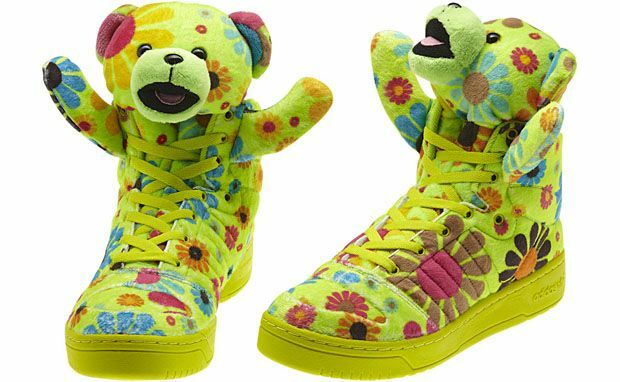 Jeremy Scott is no stranger to 90’s inspired designs, famously being known for his stuffed animal Adidas line that hearkens back to the Beanie Baby heyday. His recently debuted collection of fall ready to wear continues on this trend and is a unique, funky interpretation that pulls inspiration from vaporwave, harajuku, Kyary Pamyu Pamyu, cyberpunk, and Fifth Element style sci fi. The mix of muted pastel palettes against bold metallics and unusual cuts and mixed textures is not something we’d personally wear day to day, but they make quite the statement. Although, we’d prefer these looks without the cheap Halloween wigs and are dying to see these modeled by some of the genuine alt-girls who are most likely to purchase pieces like this. This collection marks Scott’s 20th anniversary as a designer.